We have an expansive range of blank tungsten tags and blank tungsten plates in stock that are used for a variety of identification needs. Our blank tungsten ID tags can be customized with your provided information to meet the requirements of your specific application. Common applications of our blank tags include marking equipment and machinery, assets or any area or place that needs identification added. 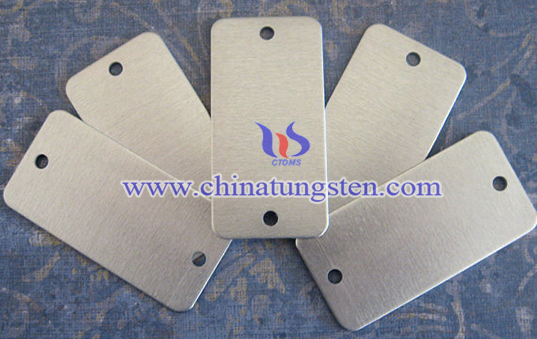 The tag is made of high-quality tungsten alloy to be corrosion resistant, water resistant, durable, environmental-friendly and hardness. Our blank tungsten ID tag features smooth edges, radius corners and industry standard pre-punched holes for easy application. 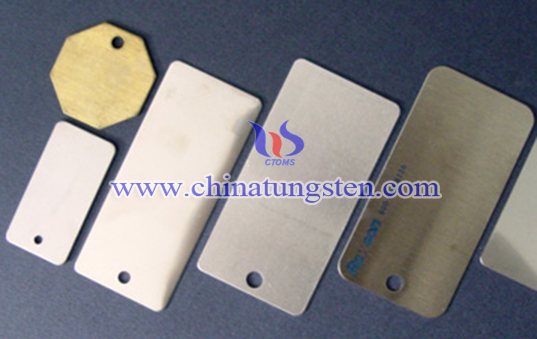 If you have any interest in blank tungsten ID tag, please feel free to contact us by email: sales@chinatungsten.com sales@xiamentungsten.com or by telephone:0086 592 5129696.